Chanhassen Meet & Greet *At Charter Bank! 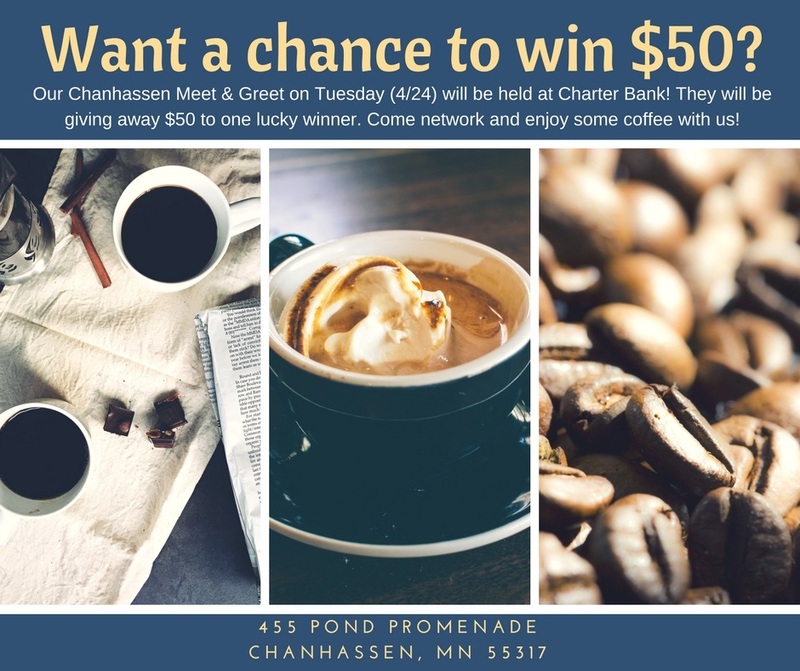 Name: Chanhassen Meet & Greet *At Charter Bank! Looking for a networking opportunity specific to Chanhassen? Then join us for the Chanhassen Meet & Greet! The Chanhassen Meet & Greet will be held the 4th Tuesday of each month and the location will change each month! There is no charge to attend and fresh brewed coffee will be provided. See you there!